I know what you’re thinking. Andrew is doing this city rumble simply because the names are so similar. And you’re pretty much right! 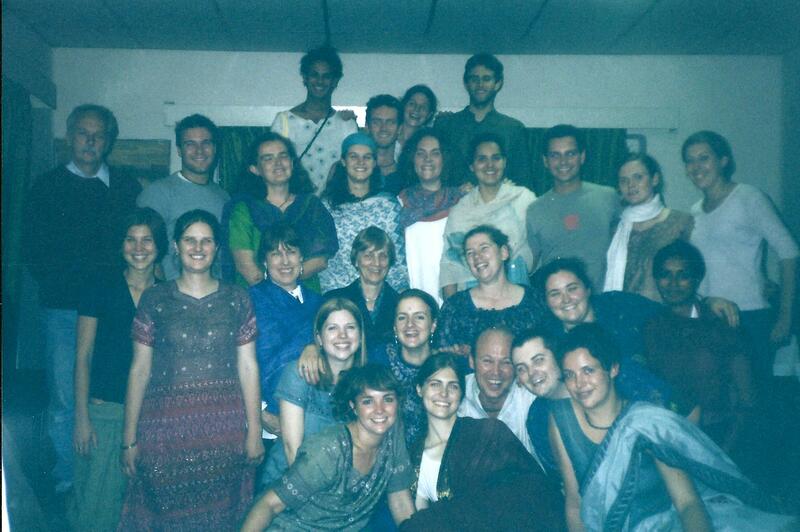 It was 2004 that I set out to cross by land (as much as was reasonable) from Dhaka, in Bangladesh, to Dakar, in Senegal. It was a journey I sort of changed a couple of times, and did over a space of three individual trips. So, in 2004 I started in Dhaka, Bangladesh, but it wasn’t until 2007 that I made it to Dakar, Senegal. So I have to say, before I go any further at all, these two cities are completely different. One is huge, densely populated and one of the maddest places on Earth. But – they do play cricket there. The other is an interesting place, embracing a location on the ocean and the sea breeze that comes with it. It’s surprising then that Dakar has far more of a reputation for danger than Dhaka, but some do associate it a little with crime – mostly petty. Personally, I didn’t feel under any threat whilst I was in either city. Both have colonial pasts, Dhaka and Bangladesh with ties to the British Empire, Dakar and Senegal to France. To wit, French is highly useful in Dakar. English is your best bet in Dhaka, although it’s not as widely spoken as in India, whereas you will find just about everyone in Dakar speaks good French. 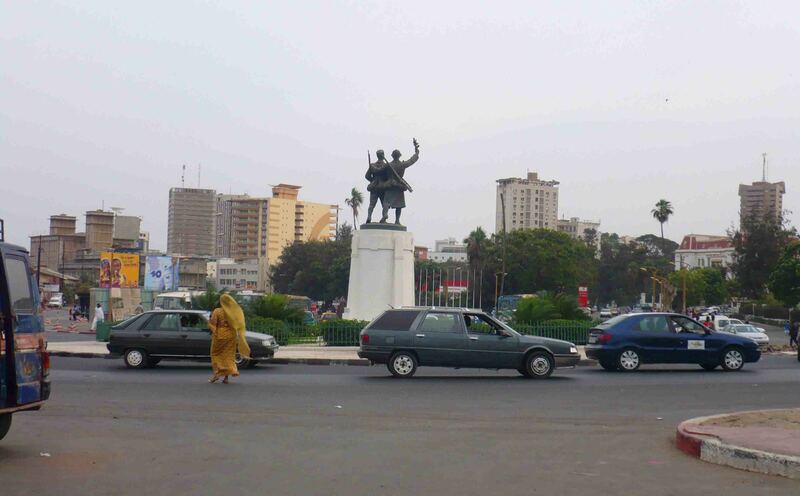 Dakar boasts cleaner air, although Dhaka’s air is a lot better than it used to be. Auto-rickshaws are the most common form of public transport (except for buses I presume) and there are unimaginable numbers of them in Dhaka. 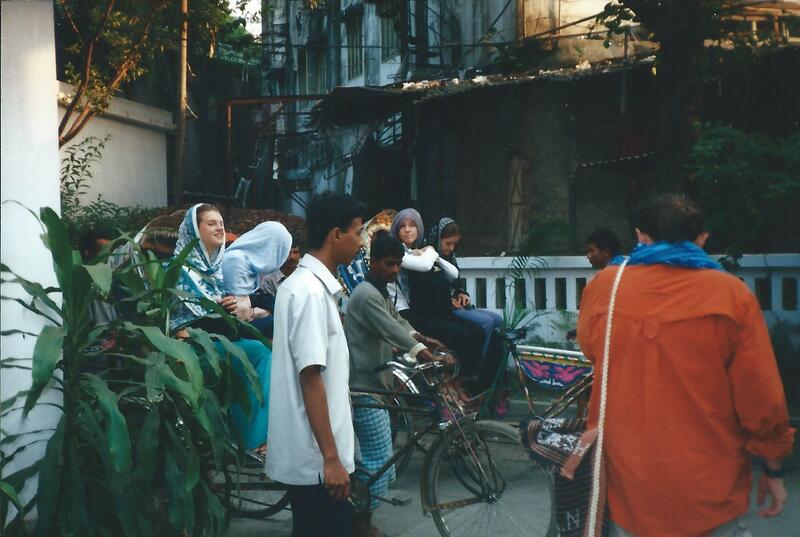 In fact I just found an article that says 38% of transport is by rickshaw in Dhaka! They used to run on old two-stroke motors – something akin to a lawn mower. The government passed a law that they must be three-stroke. And the difference is incredible. I got around Dakar mostly in mini-buses that ply routes along the shore to the town centre and elsewhere, usually when full. Which means, well, pretty full. I took a taxi or two, obviously much more expensive and not always there when you need one. To get to the Ile de Goree, a colonial island with a history of the slave trade, you take a ferry. 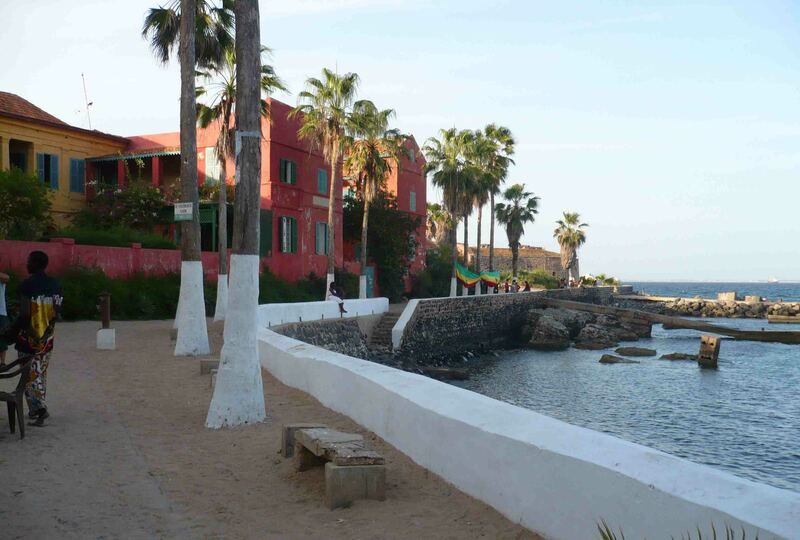 This is the main tourist spot for Dakar, and despite it’s dark past, today it’s full of artists and music and restaurants. Dhaka lacks an area like that really, but then Dhaka is not a city that is really set up for tourism. Dakar doesn’t see a huge number itself, but with Senegal’s proximity to France and Europe, it gets a few. It’s got a breezy feel, even a tad laid back for a capital city (this strictly depends on what part of the city you are in, go near the transport hubs and it’s a different kettle of fish altogether). People are always a big part of every place. 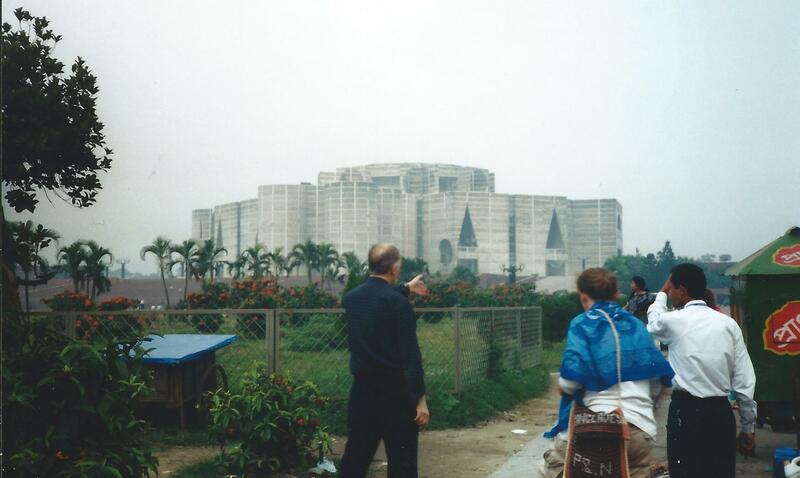 I was lucky enough to know several people in Dhaka on my 2004 trip, and met some still on the plane there who showed me around which was very nice. 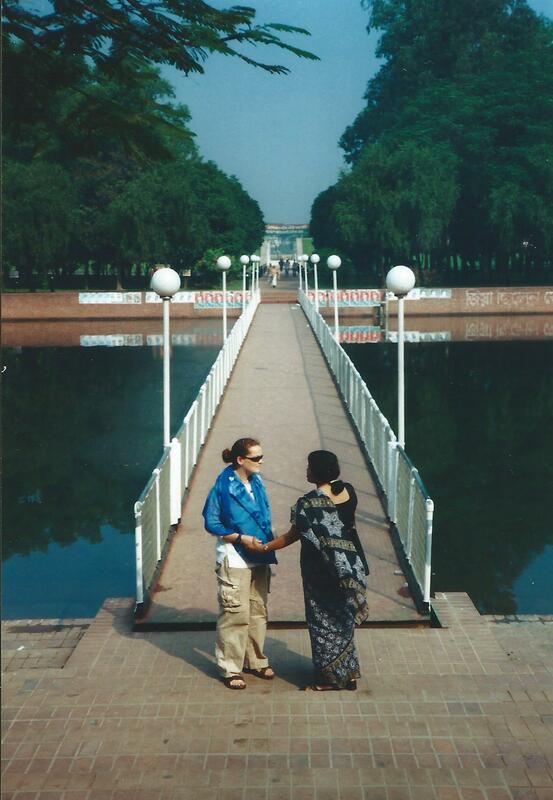 Through them I met more – and thus I feel that Dhaka was actually, despite its craziness, quite a friendly city. Harder to say for Dakar. I met a few people, had a few catches on mini-buses. 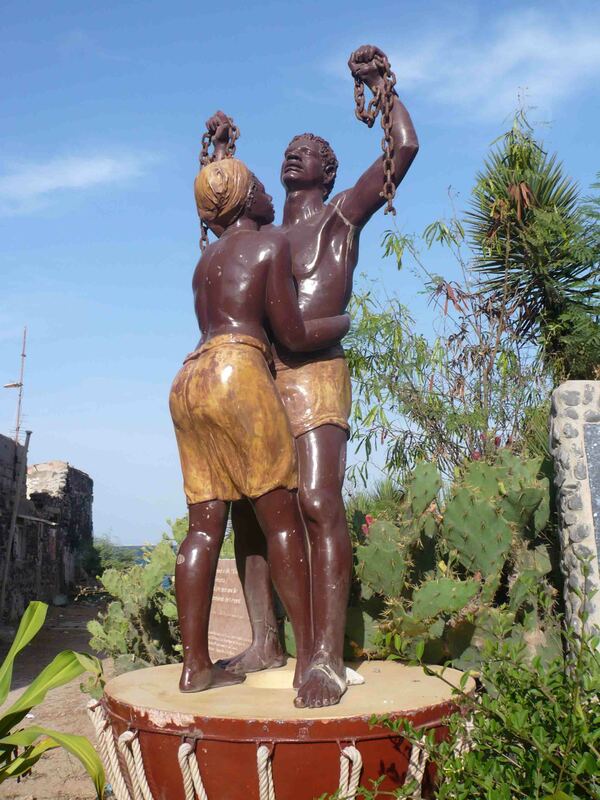 The owners and guests of my guesthouse were also very friendly however, they weren’t actually Senegalese. 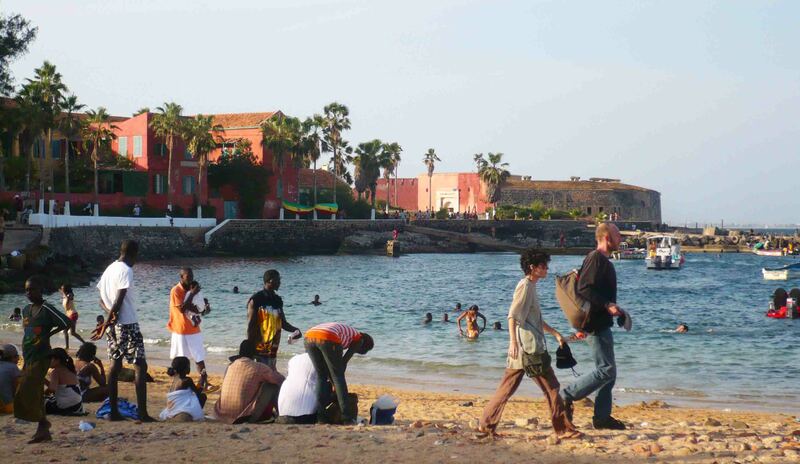 But Dakar is a city that some Europeans choose to relocate to, I presume for a bit of a ‘seachange’. 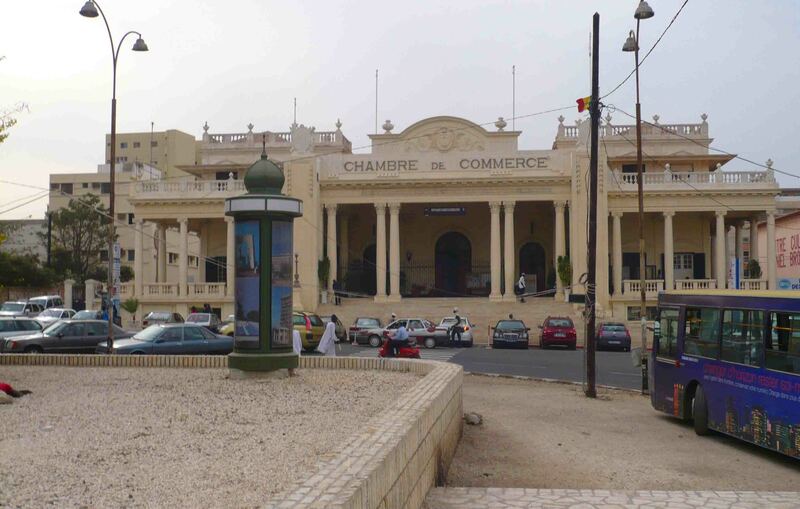 Chambre de Commerce in Dakar. So… Which is better? It’s like adding up a bunch of letters versus a bunch of numbers in some ways. 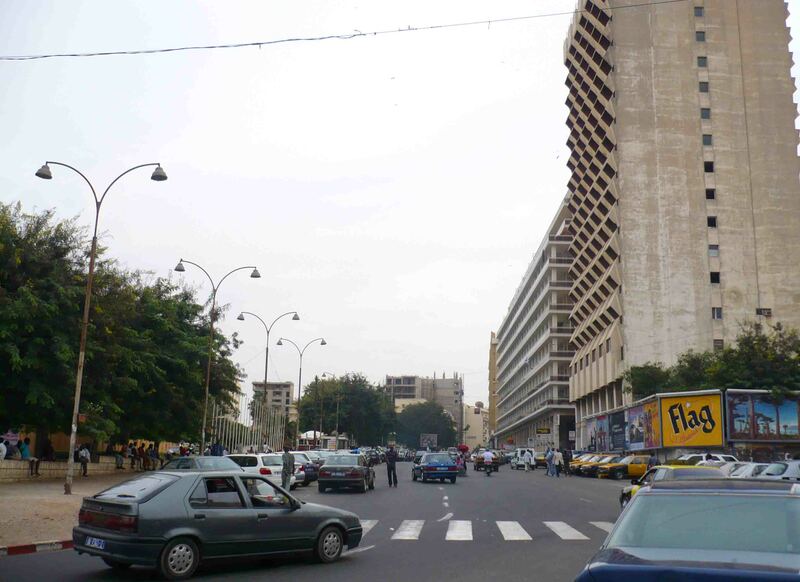 I would like to go back to Dakar and get to know it better one day. I think it’s a decent sort of place to while away a week or three and do not much. Enjoy the environment. Dhaka requires time too, to explore, to get to know how the cogs of the city turn. 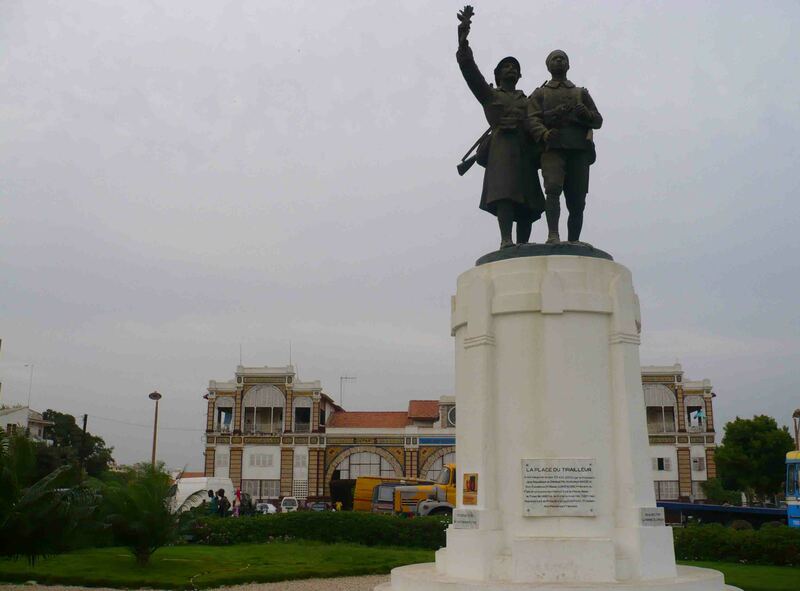 Neither are major tourist destinations, but I’d have to say the tourist would be more at home in Dakar. 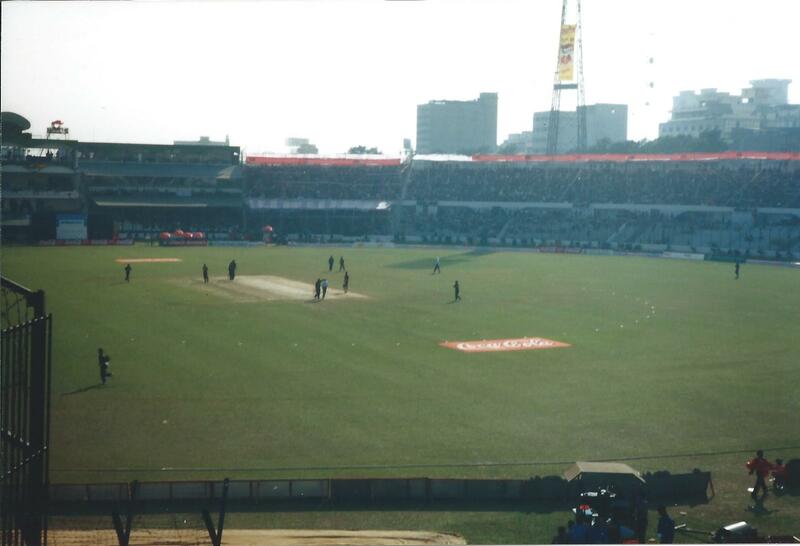 But for me, I think of the two Dhaka is my favourite city for the people I met there, the memories I have. Oh, and for the cricket. Yup, Bangladesh is quite a long way off the beaten track, but it’s very rewarding and memorable. Dakar looks interesting – I wouldn’t mind going some time!